Black Widow – In The Hall Of The Mountain King – Shaun Richens. 1. HAWKEYE is on his knees in front of LOKI arrows lie all around his feet. HAWKEYES bow broken in two lies at his side. LOKI looks down on him a hand on his shoulder. LOKI 1: You showed courage boy. LOKI 2: Not that it is worth much. 2. We are looking down the barrel of a gun from the shooters point of view. LOKI is the target in the sights. 3. Close up on LOKI an angry frown on his face. The first time he has shown any anger all issue. LOKI: You think to kill me with your mortal weapons women? You insult me just as your companion did. At least his weapon took some skill to wield. 4. BLACK WIDOW holding her pistol out in front of her faces down the god known as LOKI. Shots are fired. 5. Bullets crushed and spent now lay at LOKI’s feet along with the arrows. 6. A page wide panel. BLACK WIDOW has thrown her gun to the floor and now leaps and back flips her way towards LOKI she is swift and graceful any normal foe would never be able to stop her approach and avoid her attack. LOKI is not a normal foe however. 7. LOKI holds BLACK WIDOW by the throat her feet clearly off the ground. Her hands pull at his fingers trying to loosen his powerful grip. Her eyes closed, pain all across her face. LOKI 1: Your spirit is strong. LOKI 2: Your neck less so little one. Black Widow - Loyalty – MK Stangeland Jr.
Panel 1: AGENT SMIRNOFF and BLACK WIDOW (in professional eveningwear as agent ROMANOVA) are at their table. Their food is delivered to them. AGENT SMIRNOFF: Regardless, our superiors are beginning to question your results as of late. ROMANOVA: They are aware of the task assigned to me, correct? AGENT SMIRNOFF: Yes, they are aware of the difficulties presented by Mr. Stark and his ‘associate’. Panel 2: AGENT SMIRNOFF preps his napkin before he eats. AGENT SMIRNOFF: Which is why you specifically were assigned to this task. You are among the most capable employees our organization employs. You would not have been assigned to this matter if they were not fully aware of the situation. Panel 3: AGENT SMIRNOFF cuts into his food. AGENT SMIRNOFF: But they also expect results. At present, they question whether your record is as clear as it appears. Panel 4: ROMANOVA takes a bite of her food as she listens to AGENT SMIRNOFF. AGENT SMIRNOFF: However, they would be more understanding if they weren’t suspicious of your involvement of this Mr. Barton. ROMANOVA: I’m afraid I’m not quite sure what you’re talking about. Panel 6: AGENT SMIRNOFF doesn’t look at ROMANOVA as he responds, instead focusing on his food. AGENT SMIRNOFF (1): Of course you do. AGENT SMIRNOFF (2): Our superiors suspect you might be getting too close to him. Labels: Black Widow, MK Stangeland Jr. I struggled with this one too I'm afraid. We OPEN in a dark corridor in a faceless military facility and a CLOSE UP on a GUARD slumped unconscious against the wall, partly hidden in the shadows. We ZOOM OUT to show the more of the corridor. The bodies of several unconscious GUARD’s are strewn all over it. In the ceiling is an open vent cover. CUT TO a TIGHT SHOT on NATASHA in the vent. She wears a black bodysuit and peers through a cover into the room below. CUT TO Natasha dropping into the room below. The dark room is bathed in an eerie dark red light coming from an unseen source off panel. NATASHA (CAP): -- and rise again. Wide panel. We are slightly above Natasha now-- a CRANE shot. She is encircled on all sides by teenage girls dressed in all in one black bodysuits similar to hers. CAPTION: The Red Room, Moscow. Panel layout isn't the most important. Just make sure that the last panel is of big enough size to do the image justice. 1 – Same panel that finished last week's page (check that here, should you misremember). Natasha wears that same expression of disbelief and disdain, but she is finally able to muster a response to Clint's ridiculousness. Also of note, the clock, which is outside Natasha's filed of vision, appears to be starting to transform into a small clockwork creature. BLACK WIDOW: Do you ever stop to think about anything you do or say? 2 – Shot of Clint. He has drawn and nocked an arrow, aiming in Natasha's general direction. The angle is mostly from behind him, giving a good view of Natasha and the newly forming clockwork creature. Unable to see what Clint's aiming at, Natasha is confused and a little surprised. The clockwork creature is jumping from the wall towards Natasha. 3 – A thin panel. It is entirely black and the only thing in it is the sfx, which is written down vertically. 4 – Shot of the half-transformed clockwork creature. It has been pierced by Clint's arrow, which went straight through its middle and now pins it to the wall. The sfx can really go anywhere, but make it clear it is coming from off-panel. BLACK WIDOW (off-panel): What is that? HAWKEYE (off-panel): It's what I've been trying to warn you about! 5 – Natasha is closely examining the broken clockwork creature. Clint isn't really paying attention. He's distracted by the sound, looking around to try to pinpoint its source. BLACK WIDOW: I'll be honest with you, Clint. This is definitely strange, but it doesn't look all that dangerous. CLINT (quietly): What's that noise? 6 – The Hulk bursts through the wall, fighting off a pair of much larger clockwork creatures. Each one is easily of equal size to Hulk. From Hulk's battered appearance, it is clear that the clockwork creatures have the upper hand. Fortunately for Natasha and Clint, the wall breakery is happening just next to them as opposed to directly into them. Nevertheless, the two instinctively put up their arms to protect themselves from the crashing debris. 1. Nearly a full splash page. The Eiffel Tower is taking up most of the background - and it is also exploding on two of the legs and so it's all leaning over to one side. Swooping through the air toward us on a string line is the Black Widow. We have no idea what the line is attached to - it doesn't matter. 2. A small and wide panel down the bottom. The Widow walks away through the crowd, she now has a trenchcoat on and is dipping a relatively large hat. 1. Black Widow has been sent flying back by an unseen force. 2. The widow has been slammed against a wall. He just swatted me away. Like a fly. 3. The Widow has come to rest against the wall. We are looking at her front on. Her head is down, and we can see a slight trickle of blood down the side of her mouth. So to you I must be a fly. Then you are the spider? 4. The Iron Man armour, holding Cap’s shield is walking towards Thor and Mjolnir. Stop me if you have heard this joke. In America, the spider eats the fly. 5. Same as Panel 3, however the widow is looking up at us, a smirk on her face. We can see a device in her hand, flat with an LED timer on it. It is a small explosive device. In Soviet Russia, the fly eats you. A luxury Manhattan hotel room, seen from outside. Curtains blow in the breeze of the open window. Behind those curtains, two figures are silhouetted – the Black Widow and Peter Parker. The Widow stands before Peter’s silhouette. She is unzipping the front of her costume. We’re inside the hotel room now. We’re looking over Peter’s shoulder. He’s wearing his Spider-Man costume but not his mask. The Widow is holding that. Her costume is now unzipped to mid torso, showing plentiful cleavage. She’s smiling seductively. The hotel room is set up for romance. Champagne cooling, subdued lighting, candles. Maybe some rose petals scattered over the sheets of the four poster bed. Natalia: Especially if there’s another redhead in the equation. The widow rests her arms on Peter’s shoulders, drawing him close. She’s still holding his mask, behind his head now. She’s staring in deep in the eye. Peter is embarrassed. His spider-sense is still tingling. The Widow kisses Peter passionately. His spider-sense goes wild. She drops his mask. The kiss continues. The tingles of Peter’s spider-sense diminish in intensity. The kiss ends, though Natasha’s face remains close to Peter. They’re both smiling now. Peter’s spider-sense is no longer tingling. We’re watching the scene through a CCTV camera now, from elsewhere: a dark, secret-agent monitor room. A shadowy figure is watching the monitor (possibly O/P). 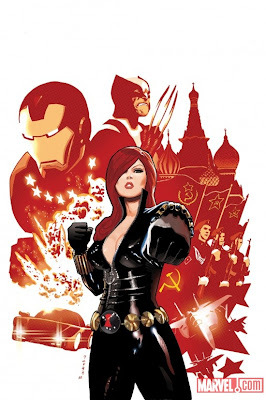 Because Natalia (Natasha) Romanova (Romanoff) is a fascinating character with a complex history that dates back to the time of Czarist Russia. She's been an assassin, a ballerina, a spy, a revolutionary, a double agent, a defector, an Avenger, a Champion, a sidekick, a leader and a heartbreaker. There's plenty of story material there for us thoughtballooners to get our teeth into! For the definitive tale of the Widow's history, I'd recommend Paul Cornell's excellent Deadly Origin mini-series of a few years back. I'm still not convinced Scarlett Johansson is the perfect casting for any aspect of the character beyond the catsuit... but, once again, Hollywood failed to ask my opinion. Labels: Black Widow, Thoughtballoons Avengersthon, Why? 1. Hawkeye stands at the base of the statue of Liberty. He has one hand pressed to his ear as he tries to hear from his earpiece. In his other hand he holds his longbow. HAWKEYE: You hearing me Fury? NICK FURY: I heard ya, loud and clear. Now tell me, why on earth did the team split up? 3. Cut back to same shot as 1. HAWKEYE 1: The Cap thought we’d cover more ground, and you put him in charge, so I did as I was told. HAWKEYE 2: I have found the target though. 4. Cut back to same panel layout as 4. FURY is looking even sterner than normal. NICK FURY: Hold your position. I’ll call the others. You need to regroup before you engage. 5. Similar panel to 1. We are with HAWKEYE but pulled out further. We see a full long shot of HAWKEYE. He wears a look of concern on his face. HAWKEYE: Any chance you could hurry up that back up call? NICK FURY (OFF PANEL THROUGH HEAD PIECE): What’s going on? 6. A side on shot. 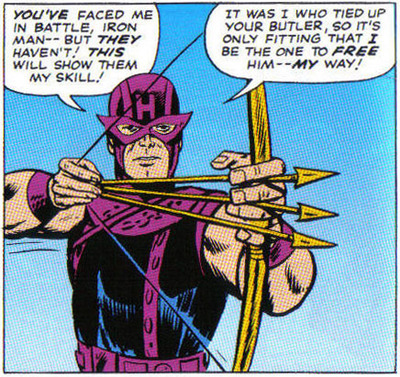 HAWKEYE has pulled his bow back with an arrow readied he stands to the right hand side of the page. Standing a few feet opposite him, on the let hand side is LOKI, a huge grin on his face. LOKI 1: My first subject come to bend his knee to me. LOKI 2: Now put that toy of yours away boy. You think to use an arrow against a god. How little you know of my power. LOKI 3: You do amuse me so. HAWKEYE: And I haven't even got to the punch line yet. Like Ryan, I couldn't really find a way 'in' for Clint. In the end I tried to get across that this guy brushes shoulders with titans with only a quiver and his nerve at hand. We OPEN on a TIGHT shot of HAWKEYE in costume as he sits in one of the Quinjet’s passenger seats. CUT TO BLACK WIDOW sitting in the seat across from Clint’s in her black bodysuit. She smiles wickedly. We CUT TO TONY STARK, in the seat in front of Black Widow’s. He wears his armour, sans helmet. He’s in the middle of telling a joke, laughing. We CUT TO THOR sitting in the seat in front of Clint’s. He looks calm and collected. CUT TO CAPTAIN AMERICA in the pilots chair. He’s all business, but allows himself a small smile at Tony’s joke. Wide panel. CUT TO a CLOSE UP on Hawkeye in the cargo bay the of the Quinjet. The bay doors are opening up in front of him, sending a strip of sunlight across his eyes. Wide panel. CUT TO outside the Quinjet as Cap, Iron Man, Thor, Hawkeye and Black Widow jump down towards us-- the money shot. Hawkeye – Old Man Barton – MK Stangeland Jr.
Panel 1: KARLA SOFEN, MOONSTONE (in what passes for ‘civilian’ garb) stands with her arms crossed in front of her as she looks at HAWKEYE sitting in her chair. She’s not pleased to see him. She’s even less pleased that HAWKEYE is sitting in HER chair. HAWKEYE: I’m here to ask for your help, Moonstone. One Thunderbolt to another. Panel 2: KARLA SOFEN advances towards HAWKEYE. KARLA SOFEN: No, Barton. The Thunderbolts don’t exist anymore. They died with everyone else. Panel 3: HAWKEYE stands up out of the chair, fairly certain that if he didn’t, KARLA would throw him out of it anyway. He points at KARLA SOFEN as she reaches him. KARLA SOFEN: Because I was smart. I got out while it was still an option. HAWKEYE: And as much as I hate you for abandoning us, I’m willing to look past it if you’ll help me now. Panel 4: HAWKEYE has his arms out as he tries to make his case. HAWKEYE (1): The Thunderbolts aren’t all dead yet. HAWKEYE (2): Neither are the Avengers. HAWKEYE (3): As long as we still live, we can still carry out their legacy. Panel 5: KARLA SOFEN grabs HAWKEYE by the throat. So the first two pages of my Avengers story have been a little on the silly side. This one will be no different. Three rows of panels. Two panels per row. They don't all need to be the same size. Have panel 1 be bigger than panel 2, panel 4 bigger than panel 3, and panel 5 bigger than panel 6. 1 – An outside shot of Avengers Mansion to establish the scene's location. HAWKEYE (from within): BW, we've got a serious problem on our hands! 2 – Interior. Hawkeye and Black Widow are in one of the rooms. It doesn't really matter which one. 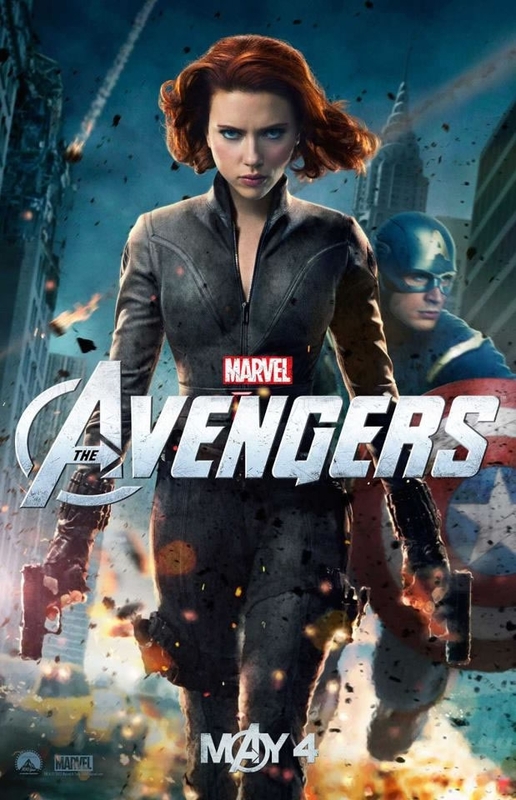 Hawkeye looks really worried; Black Widow looks exasperated and annoyed. There's a clock hanging on the wall. HAWKEYE: We've got to call everyone in and get them assembled asap! BLACK WIDOW: Clint, do you remember how things turned out last time you said that? 3 – Hawkeye takes on a serious, pensive look, putting one hand to his chin in the classic “thinking” pose. A thought bubble is forming from his mind. The tail connects to panel 4, which is where his thought begins. 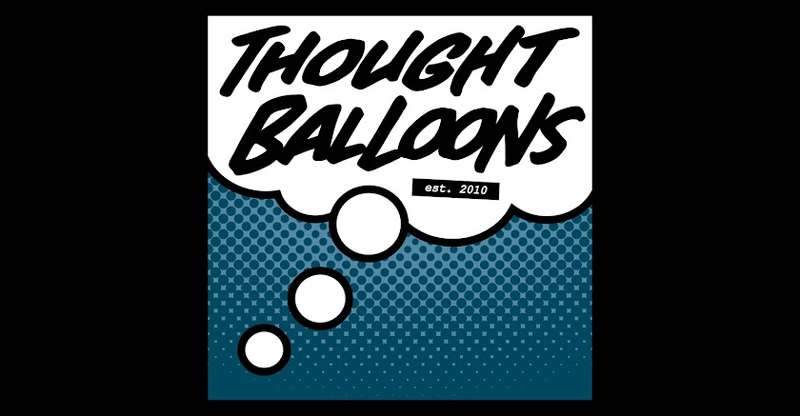 Both panels 4 and 5 are bordered by the classic thought balloon cloud pattern to show that they are Hawkeye's thoughts. 4 – The next two panels would ideally be rendered in true Chris Giarruso-style (like he's done in the Mini Marvels backups and his own G-Man stories). Hawkeye stands outside with a small, stylized Avengers Mansion in the background. Before him are Captain America, Thor, and Iron Man. They are brimming with excitement and are all looking at Hawkeye in an impressed manner. CAPTAIN AMERICA (1): Thank goodness you assembled us, Hawkeye! Your quick thinking saved everyone and everything! You single-handedly stopped all the bad guys and evil forever and we could never have done it without you! CAPTAIN AMERICA (2) (quieter): You're also way cooler and better looking than I could ever hope to be. 5 – Cap, Thor, and Iron Man are now raising Hawkeye above their heads and cheering him. Everyone seems super overjoyed. The thought balloon part of this panel where it connects with panel 6 should be a cloud disappearing – the “memory” is ending. ALL: You're the best, Hawkeye! ALL (across the bottom of the page): HAWKEYE! HAWKEYE! HAWKEYE! 6 – Only Natasha is visible. She is looking towards the off-panel Clint, equal parts disbelief and disdain on her face. The clock is still visible. No dialogue. Inset in panel 2. Clint Barton sits on a creaky wooden chair. He is wearing casual clothes and looking straight at us as he talks. Spotlight on him, long shadows behind. He’s fidgeting with his hands, looking a little grumpy. Flashback. Hawkeye in his original costume, firing acid arrows at clunky, early-armoured Iron Man (the version with big screws in the face-plate). The arrows are rusting the suit as they hit its weak spots. CAP (Clint): …I was an angry young man. Inset in panel 4. Out of flashback. Close on Clint, pointing a defiant finger at us. In the central image, Hawkeye walks away from a group of dumbfounded Avengers. A classic “I quit!” moment. In another image, Hawkeye punches Daredevil while a shocked Black Widow looks on. In another, Hawkeye is embroiled in a furious argument with Gyrich. In another, Hawk yells at his equally enraged wife, Mockingbird. Out of flashback. A middle-aged hippy woman leans across and rests her hand on Clint’s hand, giving him a calming smile. Clint is wrinkling his nose: not a happy camper. Pull out to reveal the larger scene: a self-help group – a circle of chairs occupied by Hawkeye, the hippy woman, Bruce Banner, Logan, Ben Grimm, Namor and Angar The Screamer. None of them (with the exception of the hippy, who obviously has her work cut out for her) look particularly happy to be there. A sign pinned to the wall behind Namor’s head reads: Anger Management / Tuesday / 7 – 9pm / All Welcome. Clint looks around the group as he runs fingers through his hair. Woman: …we’re here to help you on the rest of your journey. 1. 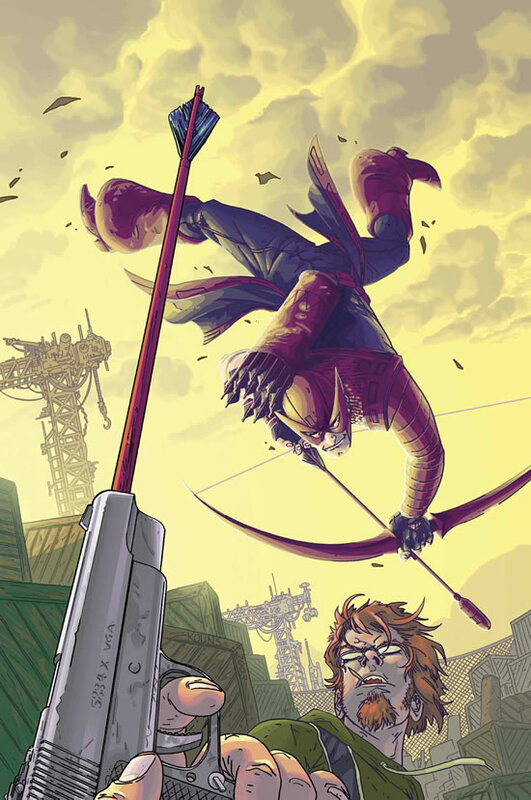 Hawkeye stands atop Avengers Tower, his bow is trained out into the horizon, his arrow is loaded. Caption1: "Clint has been on the roof for hours." 2. Clint shoots the arrow out into the distance. Caption: "Is he actually having any success?" Caption2: "I don't want to cover some law suit because a bus driver takes one of his arrows to the face while taking a bunch of school kids back to the orphanage." 3. Clint is grabbing another arrow from his quiver. Caption1: "Every single arrow is accounted for with the tracking software and not one has been wasted. Nothing below a felony, we can most likely recover the arrows from Saint Vincent's tomorrow." 4. Clint aims the arrow right at us. Caption2: "So...he's upset but at least he's taking it out on criminals and not us." Caption1: "You mean, not you." 1. Hawkeye steadies himself against a crumbling wall, as seen on Nick Fury’s monitor. His left arm holds his bow, his right hanging by his side, dislocated. I don’t have super human strength. I am not a God, and the last thing I invented was an avocado and banana cheese smoothie. 2. Hawkeye is looking at the wall he is leaning on, thinking. But I work hard. I train. 4. Hawkeye is slamming his shoulder against the wall once again, this time with more force. 6. Hawkeye is now standing under his own weight. His shoulder has been knocked back in place. He grimaces as he reaches for a bow from his quiver. Why Hawkeye? Well, why don’t we ask Hawkeye himself, Mr Clint Barton! “Whaddya mean you don’t know why I was chosen? I’m the best there is at what I do – shotting arrows. Sure, I used to be a crook, turning to a life of crime for money instead of going to the Olympics and becoming world famous but I was young(er) back then. And it paid off – the Avengers saw some good in me and asked me to join their ranks. Now I travel the globe, doing what Avengers do best....Avengering. Some may say that I am a secondary character, that my multi-faceted arrows are nothing but a cheap way to get out of a tight situation. Well, to those people I say YOUR MOTHER! You had to ask, huh? Apologies about the delay on this one. My net connection has been a fickle child today. We OPEN on a CLOSE UP of a decaying SNAKE on a cracked desert floor. The corpse is dessicated-- the slightest breeze looks like it could turn it into confetti. In its death throes the snake tried to swallow itself. LOKI (CAPTION): I think this is the end. FIXED PANEL. A shadow falls across the snake. LOKI (CAPTION): I’m not entirely sure. Wide panel. Cut to the source of the shadow; Loki stands in the middle of a seemingly endless desert. He’s wearing his dark green robes but they’re wrapped around him Arabian style. This is the ‘classic’ version of Loki, not a child or woman. He squints at the relentless sun. His trademark helmet is battered and worn, one of the horns has been snapped off. The sky is cloudless and blue. No life, no plants, no water. Just desert. LOKI (CAPTION): It’s happened so many times before. LOKI (CAPTION): Now there’s no-one left. LOKI (CAPTION): No tricks left to pull. LOKI (CAPTION): No pieces left to move. Wide panel. A CLOSE UP on Loki’s eyes, peering into the distance. LOKI (CAPTION): Just me and him. Wide panel. From Loki’s POV we can see a sand dune about a mile away. A FIGURE has appeared at the top of it, walking towards us. The sky has darkened. Storm clouds gather. LOKI (CAPTION): Here he comes. Wide panel. A CLOSE UP on Loki’s hand as he grips the hilt of his drawn sword. Inset panel. A CLOSE UP on Loki’s smile. Loki – In The Hall Of The Mountain King – Shaun Richens. Ok so this is only my fourth tenured piece for thoughtballoons and I am already going maverick and doing a two page splash. However I am going one long form story for our Avengersthon and having this two page splash here sets me up for all the page turns I want to hit and makes for an explosive first page turn in itself from my Fury page so I hope you will allow it for the sake of a better overall script and story. A two-page splash. With two smaller panels inlaid. 1 is in the upper left hand side of page 2 and Panel 3 is inlaid in the bottom right hand side of page 3. With Panel 2 making up all of the other space. 1. Full length shot of Loki. He stands atop the balcony section of the statue of libertys torch. He is looking out towards the city of New York, although we can’t see this yet. LOKI: Dawn breaks, and I take this city for my kingdom. 2. This is the money shot. This is the gut punch of the splash. We pull back to a shot from behind Loki as he looks out towards the famous cityscape of New York City. It stretches out before us, buildings crumble, smoke and fire billow into the sky, mechanical beasts made from gold and silver in the shapes of mystical creatures of legend rip at the very heart of the city. Loki has brought Norse God like destruction to the mortal realm and it looks horrifically beautiful. 3. A tight shot on Loki, he has a menacing grin playing across his face. LOKI: By this evening these mortals shall call me god. Loki – Loki On Trial – MK Stangeland Jr.